To make your EMR more convenient, integrating it with a medical billing company is a good option. NItin Chhoda explains why connecting your EMR system to a medical billing company software will make it easier to use. There are many advantages of electronic medical records and one of the most often emphasized is the advantage for medical billing staff. Everyone else in the office can be a bit faster and more efficient, and the medical biller can process information much more smoothly. But having an EMR isn’t just for those medical practices that do their own billing. Even if you hire a medical billing company, having an EMR will have distinct advantages over processing billing any other way. The only challenge of hiring a medical billing company is deciding how the critical notes and information will be transferred from your practice to the medical billing company. The billers will need a lot of information from your practice, and to ensure that information is accurate, you will need to integrate your information systems. It’s possible that this will not be an issue if you have a high quality EMR that records all of your information already. If clinicians are recording their appointments and notes using digital media, then the first step is already taken care of. The only question will be how to transfer the information from your practice’s EMR to the medical billing company. Most medical billing companies will have experience with a number of EMR systems and with figuring out a transfer system. If you hire an independent contractor to handle your medical billing, rather than a medical billing company, they may be willing to adopt your software, making the process incredibly simple. And of course, if your EMR is online, then all the biller will need is access to the site. There are also a number of medical billing companies that have decided to design their own medical billing software. 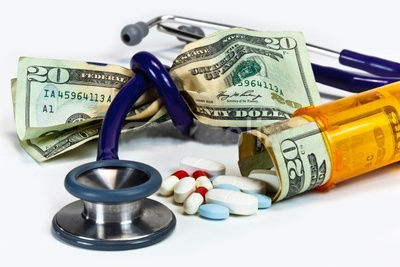 This has distinct advantages for the medical billing company. They can customize the software to suit their needs and preferences. Customized software can be a bit harder to get used to, but in the end it should work better than any other solution on the market because it will be designed with very specific needs in mind. It’s possible that your practice will need to integrate your system with the custom system that the medical billing company is running. Usually, they will have the solution already, offering a satellite feature of the software that can be used in your office. 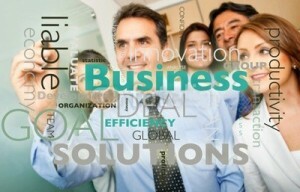 If their software solution is integrated with the Internet, you may be able to access it online. No matter what you end up doing, having an EMR ready in place will allow you to transfer information quickly and efficiently. In fact, when choosing a medical EMR, consider the reporting capabilities and features that will allow you to work with a medical billing company. There are plenty of EMR solutions out there that are designed to make medical billing easy, whether you do the medical billing in-house or you hire the work out to a medical billing company.